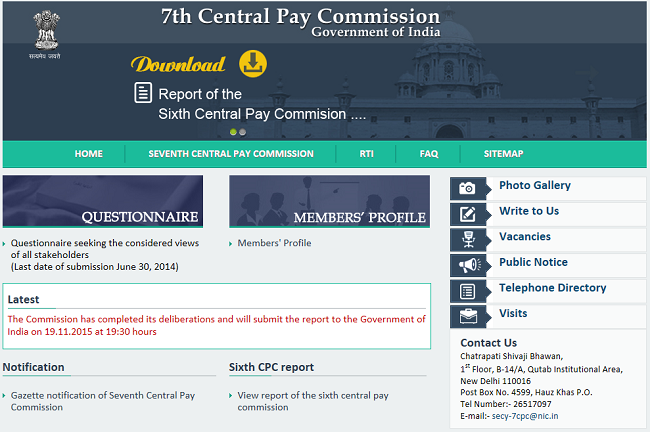 The official website of 7th Central Pay Commission has confirmed the time and date of the submission of its report to the Central government. The commission will submit its report on 19th November at 19.30 Hrs. "The commission has completed its deliberations and will submit the report to the Government of India on 19.11.2015 at 19.30 hours."